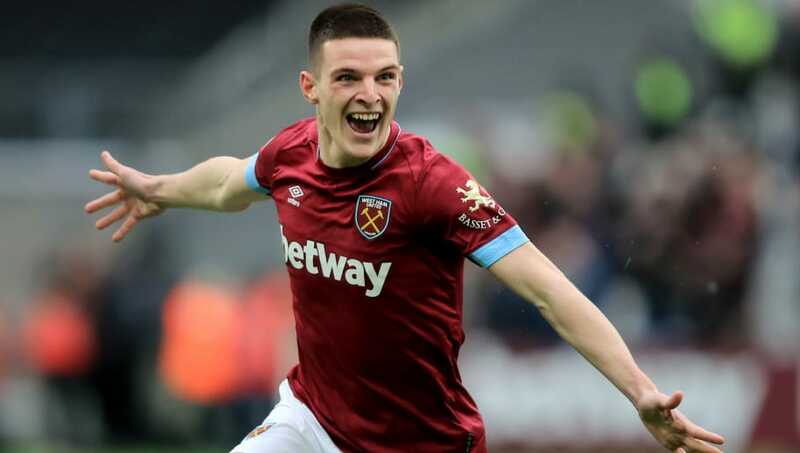 ​Tottenham could be preparing an audacious £35m summer move for Declan Rice, with the north London club keen to beat the likes of Liverpool to the signature of the West Ham star to bolster their title ambitions next season. After a year of transfer inactivity, Spurs are reportedly planning to strengthen in the coming summer, with the future of star man Christian Eriksen up in the air. The Dane on has 17 months left on his current contract and has garnered the attention of European powerhouse Real Madrid among others. Tottenham know they could face a struggle to hold onto Eriksen if the Real Madrid do step up their interest in the playmaker having lost key players to the Spanish giants before. Spurs will demand a sizeable fee for one of their prized assets though and will look to reinvest that money immediately. And according to the Express, Rice could be the first name on their list of targets this summer. The 20-year-old has stolen headlines with his performances for the Hammers this season and has also attracted the interest of Jurgen Klopp and Liverpool. West Ham likewise have no plans to sell one of their key stars and have already moved to tie Rice down to a long term contract this season. Rice also expressed his contentment with his current situation at West Ham, claiming that continuing his development through regular play time was the most important thing at this time in his career. “I’ve now played 50 games for the first team and I’m progressing week-in, week-out, learning from a top manager and top players. I’m still young, so to put more years on my contract and keep developing here is the best thing for me to do now,” he added. Manchester United are also believed to be keeping on tabs on Rice. However, the Red Devils' focus this summer appears to be on looking for a marquee centre back signing, with Raphael Varane, Dayot Upamecano and Kalidou Koulibaly among those linked.